These rolls are fantastic. The recipe is excellent and lets you be very flexible. 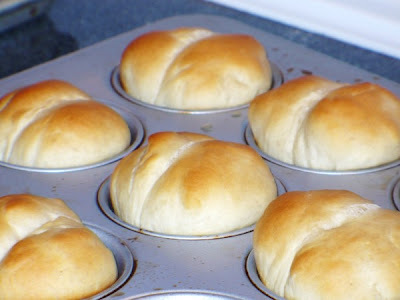 It makes A LOT of rolls, so freeze some for later or give them to friends. In the photo above, Caralie and I cut the dough into strips and tied them in knots. Once baked, we brushed them with a mixture of 1/4 cup melted butter and 1 tsp. granulated garlic. Then we sprinkled them with Parmesan cheese. Garlic knots! In the next photo, I rolled the dough into balls and placed two in each cup of a greased muffin tin. This makes Parker House rolls (at least I think that is what they are called). And in this last photo, the dough was once again tied in knots. 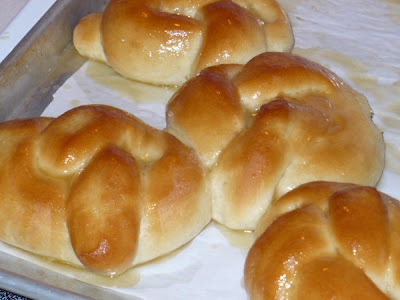 This time we brushed the freshly baked rolls with a mixture of 1/4 cup melted butter and 2 Tbsp. honey. Yum, yum, yum! The recipe can be found HERE on Allrecipes.com. I made the recipe with rapid rise yeast. This lets you avoid the first rise. If you use rapid rise yeast, follow the directions on the package, as you will combine your ingredients differently than if you use regular yeast. 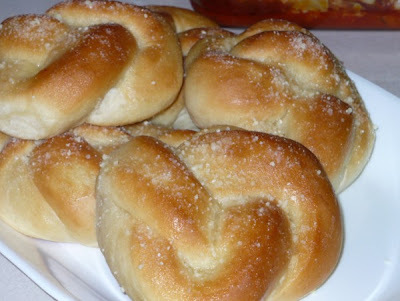 The dough can be made in a bread maker using regular yeast. Or you can use a stand mixer like I did. I let the stand mixer do the kneading for me. Once all ingredients are fully incorporated, leave the mixer on the second setting for 8-10 minutes and your dough will be perfectly kneaded! 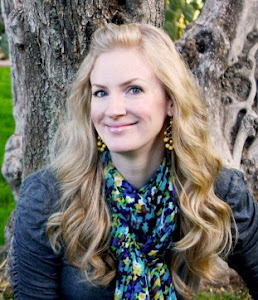 Chanelle, you are amazing! I wouldn't have even thought of one of those variations to use the dough for. All of them look so professional...and delicious! So are you doing anything in June? I think I could really use you when I have the baby to make sure that I have good food and such plus great company. I tell you you should go into business.